After the success of the outstanding first series, Big Finish have announced that Alex Kingston will return as River Song in 2017, for four new adventures with two different Doctors. The time travelling archaeologist will return on audio in 2017 – and this time she will be stepping into the past life of the Doctor, encountering two of his incarnations at once. 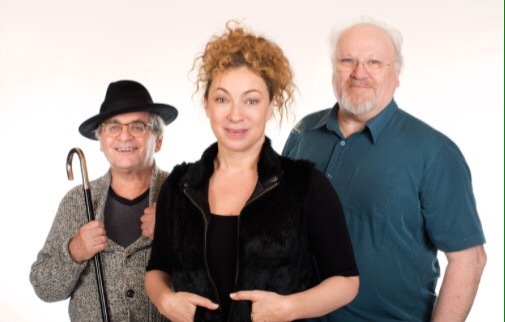 Alex Kingston returns in The Diary of River Song: Series 2 alongside Colin Baker and Sylvester McCoy. From the space exploration vessel Saturnius – which is heading to a destination that never gets any closer – to a doomed planet Earth and beyond, River’s journey will bring her closer to a new foe… and an encounter with both the Sixth and Seventh Doctors. The four hour-long adventures are; The Unknown by Guy Adams, Five Twenty Nine by John Dorney, World Enough and Time by James Goss and Eye of the Storm by Matt Fitton. The impressive guest cast includes Anna Maxwell Martin (Midwinter of the Spirit, And Then There Were None, The Bletchley Circle), Jessie Buckley (War and Peace), Ann Bell (Tenko, Wallander), Robert Pugh (Game of Thrones, Mr Selfridge, Doctor Foster), Dan Starkey (Doctor Who, Wizards vs Aliens) and Barnaby Edwards (Doctor Who).